Tracking of vehicles is essential for fleet owners like logistics companies, educational institutions, large corporations and taxi operators. 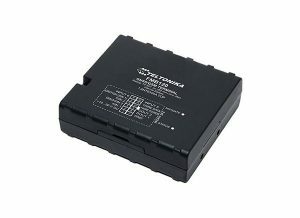 A reliable tracking device working on the latest technologies is essential to collect the data of a vehicle and transmit it to the fleet management system so that the business owner can monitor and manage the operations smoothly.Teltonika FMB120 is a widely used tracker in Saudi Arabia that is fitted in vehicles of all types. It has a rugged build and can be put into operation in very extreme conditions. It is a very compact and light-weight device and has built-in antennas for both GNSS and GSM-based tracking. It is also Bluetooth enabled for transferring of data over shorter distances. The Teltonika FMB120 comes with a built-in battery and need not be powered from an external source. It also has a 1-wire communication port for wired connections with external devices like temperature sensors and RFID readers. SMS and GPRS commands for events, etc. Teltonika FMB 120 is made and operates in compliance with international regulatory standards like CE/RED, E-Mark, EAC, RoHS and REACH. Teltonika is a world-leader in developing products for vehicle and people tracking. The company is headquartered in Lithuania and has offices and sells their products worldwide. Burhani Oasis is the exclusive distributor of Teltonika products in Mauritania. We have a team of sales and support engineers and staff to give the best solutions to our customers. We have a long-list of customers who are extremely satisfied of using Teltonika tracking devices for their requirements.